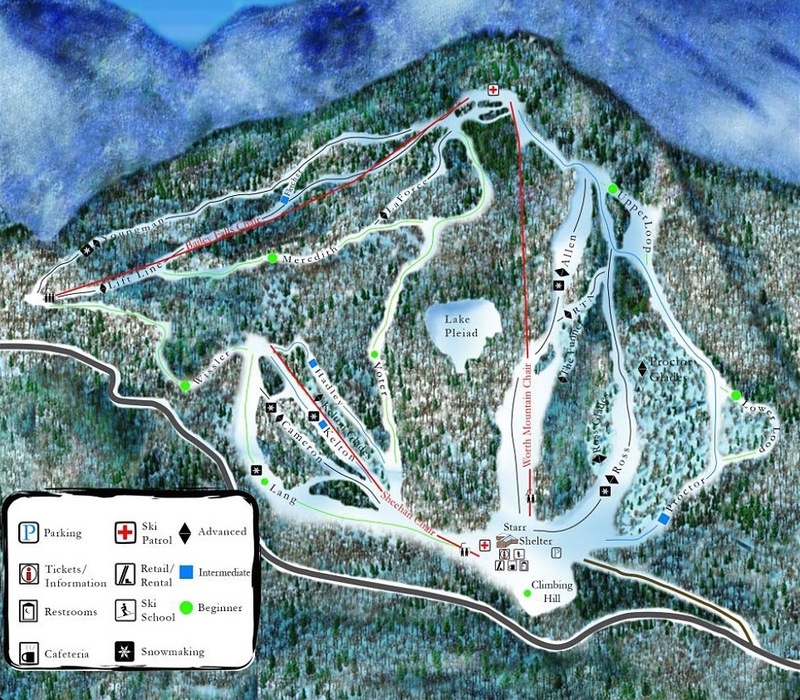 The Middlebury College Snow Bowl is a small ski area, owned and operated by the college, located in Hancock, VT, at the top of VT 125 — Middlebury Gap. The Bowl, as it’s known to locals, sits between the more major VT ski destinations of Killington and the Mad River Valley, and as such, is frequently passed by most travelers. Having a lower max elevation than some of the other ski areas in the region, the Bowl doesn’t get quite as much snow, but what it lacks in totals is more than made up by the lack of skiers and quality of terrain. Since the winter of 2010-11, the Bowl has had an open woods policy — all woods within the boundaries of the area are now fair game. Many locals have taken it upon themselves to carve out some amazing gladed runs, and if you can keep up, they might even show you the way into a few gems. Especially with the lower number of skiers, you’ll be sure to find some fresh snow in some of these secret stashes. But if tree skiing isn’t your cup of tea, the varied terrain of the cut trails is sure to keep you entertained. From the steeps of the Allen headwall to the flowing loops of Proctor to the bumps of Youngman, there’s something for everyone. The Bowl is primarily serviced by two triple chairs. The main lift, the Worth Mountain Chair, climbs the front side of the mountain, near the base lodge, and provides access to some great trails boosting solid snow making coverage and also plays host to the numerous ski races the college holds throughout the year. On the backside of the mountain, the Bailey’s Falls Chair services a number of more wild trails and glades, all of which are natural snow only, so be careful if there hasn’t been a snowfall in a while. The Sheehan double, behind the base lodge, services a smaller side of the mountain. Since the ’12-13 season, the Bowl has also had a magic carpet that they operate for no charge at all – there’s no time like the present to get the little ones skiing. While the Bowl isn’t the biggest and doesn’t get the most snow, it’s got a little something to offer everyone and is definitely worth a stop while in the area.